In addition to long recovery periods and trampling a third of the grass, mob grazing's third unique feature is stockpiling winter forage. Greg Judy notes that 80% of the expenses for a typical cattle farm come during the winter when farmers feed hay. You can either make it yourself (which requires lots of expensive equipment and turns your hayfields into ecological monocultures), or you can buy hay from your neighbor and at least add nutrients to your farm (while spending an arm and a leg). Or you can simply stockpile your summer grass. 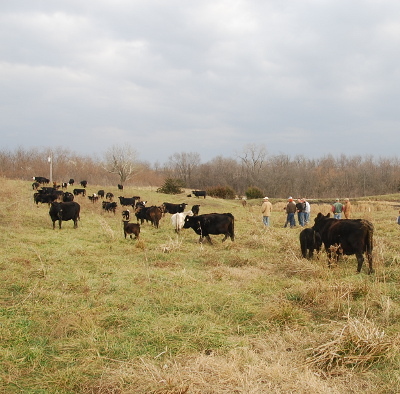 Allowing grass to grow tall and remain standing in the field during late summer means you can keep grazing your cattle right through the winter without buying much (or any) hay. Cows also tend to be healthier on stockpiled grass than on hay --- probably a lot like we feel healthier eating greens out of our quick hoops all winter rather than subsisting entirely on frozen produce. Tomorrow, I'll write about the nuts and bolts of stockpiling, but I want to back up for a minute and make sure nobody's getting too carried away. 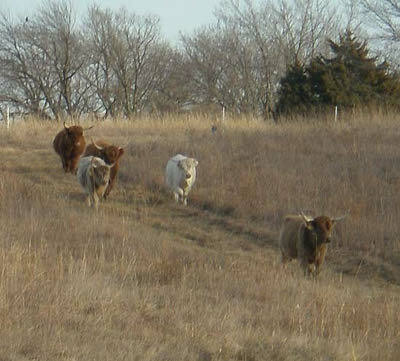 Greg Judy's operation focuses primarily on beef cattle, with some sheep, goats, and pigs. Ruminants are going to get a lot more winter nutrition from stockpile than monogastric animals (like chickens) will --- don't plan to feed your livestock on stockpiled grass if they couldn't survive the winter eating hay. Easy garden additions like strawberries and raspberries can provide delicious fruit for your family in a year or less.